The Stylistics were one of the best-known Philadelphia soul groups of the 1970s. They formed in 1968, and were composed of lead Russell Thompkins, Jr., Herbie Murrell, Airrion Love, James Smith, and James Dunn. 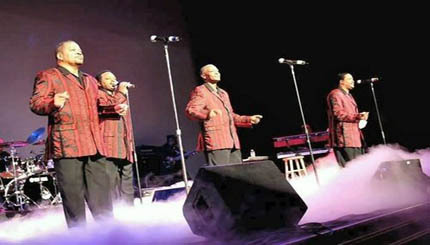 All of their US hits were ballads, graced by the soaring falsetto of Russell Thompkins, Jr. and the lush productions of Thom Bell, which helped make the Stylistics one of the most successful soul groups of the first half of the 1970s." During the early 1970s, the band had twelve consecutive U.S. R&B top ten hits, including "Stop, Look, Listen (To Your Heart)", "You Are Everything", "Betcha by Golly, Wow", "I'm Stone in Love with You", "Break Up to Make Up", and "You Make Me Feel Brand New".